If your office is in need of a pick-me-up, and your workflows are maundering aimlessly, you might be lacking in optimal office automation solutions. 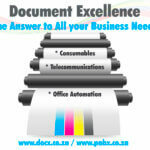 At DocX, we have seen many different kinds of offices and businesses; after all, our team has over 30 years’ combined experience in the office automation solutions industry in Johannesburg, so we know how to perk up just about any office environment to operate at its full potential with our Xerox solutions. 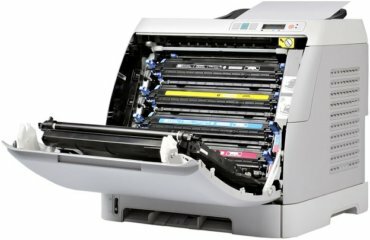 Through all these years of experience, we have come to intimately know the Xerox machines that we sell, lease, and service, which is what makes us one of the best in our field. Because the technology of some of these devices is so fascinating, we thought you might be interested in gaining an insight into just how that hard-working little machine that prints and copies your important papers for you works. 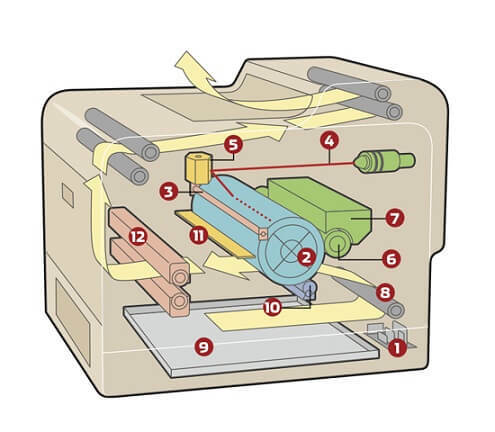 If you’d like to know exactly how a laser printer works, then read on! It all begins with the controller, which allows your PC (or other device, such as your laptop or tablet) to communicate with your printer through a raster image processor, which creates a bitmap and, essentially, tells the printer what to print. Following this is a complex series of actions that, after a few seconds, result in a beautifully printed piece of paper. 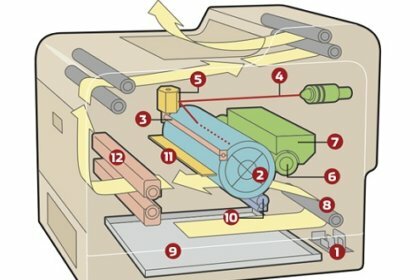 Watch the video below for an overview of the different parts of a laser printer that work together to be one of the most vital parts of your office, and discover how truly amazing laser printing technology is. No matter what kind of printer your office needs, whether laser, ink, or production, we’ve got you covered with our Xerox office automation solutions in Johannesburg. Browse through our user-friendly website or give us a call for our expert advice today.